Listed below are some of the questions that are frequently asked by a birth mother. There are many other questions not addressed on this list that will be answered as you read the information on this website and the other websites we have suggested you visit. Normal pregnancy has its moments. What can I expect? Pregnancy brings with it many changes including sleep problems, the gaining of weight, other body changes. Morning sickness and constipation and heartburn are common as are other problems including depression, fatigue and mood swings. For additional information please visit our website about pregnancy and children. Where can I find help understanding all of the technical terms? This problem is very common since many of the terms are medically oriented and technical. A good dictionary or internet dictionary can be very helpful. You can find the major terms and definitions on the link pregnancy terms and definitions. Is prenatal care really important? Yes, prenatal care is very important. Research shows that a baby born to a birth mother who received no prenatal care is three times more likely to be born at low birth weight, and five times more likely to die, than those whose mothers received prenatal care. Visit the links prenatal care, prenatal care and pregnancy and prenatal testing and ultrasounds for additional information. Besides missing my period, what are the signs I am pregnant? Signs of pregnancy are not the same for every woman. Early pregnancy symptoms generally include tender and swollen breasts, morning sickness and nausea and fatigue. Where can I find medical and even financial help? State and local health departments and other organizations offer medical care. Check out the special government programs called WIC and the Children's Health Insurance Program (CHIP). You can also find information at birth mother financial assistance and birth mother medical help. Are there pregnancy support groups? Finding a support group in your local area can be very difficult and the support group resources for a birth mother are often very limited. Visit the link pregnancy support groups for help. I am hungry all the time. What can I eat to stay healthy? Obviously eating fast foods, fried foods, and junk food will not provide you or your baby with needed nutrients. See birth mother nutrition as well as vitamins and minerals that are vital and eating and nutrition. Additionally, you should consult with your health care provider and should take a multivitamin or prenatal vitamin. A birth center is an alternative to a hospital delivery. There are pros and cons to hospital and birth center deliveries. There is not a "best" that fits everyone. You should look into both. The link selecting a hospital will help you. Perinatal depression is depression that usually occurs during pregnancy. Depression is one of the most common complications during and after pregnancy. The depression people hear more about is postpartum depression, which typically refers to depression that occurs after the baby has been born. Either way, whether it is perinatal depression or postpartum depression, it is a serious problem and should not be ignored. What is meant by the term "back labor"? Labor is the process by which contractions of a pregnant uterus cause birth. The term "back labor" refers to labor in which the birth mother feels the most discomfort in her lower back, usually just above the tailbone. Many women do not recognize this back pain as the beginning of true labor. In order to understand the differences between "false labor" and "true labor", visit the labor and birth and inducing labor links. What "after delivery" issues should I be thinking about? Several "after delivery issues" involve saving the umbilical cord blood and whether you will use breastfeeding or bottle feeding, and deciding if you are going to raise the child yourself, place the child in foster care, or place the child for adoption. Can I have Cesarean section (C-section) if I want? While most pregnant women in the U.S. still have their babies vaginally, the rate of babies born by cesarean section (C-section) in the United States is on the rise. Ideally, a C-section should be based on medical necessity; however many experts think that up to 50% of all C-sections are medically unnecessary. Please see the C-section link for additional information. There are several different kinds of adoptions. The primary distinctions are between private or agency and open or closed adoptions. Simply stated, an open adoption is when the family knows your last name, address, and phone number, and you know this information about the family. 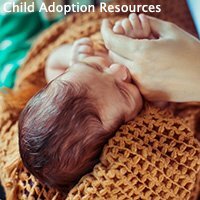 A closed adoption is when that identifying information is not exchanged. It has nothing to do with whether you get pictures, meet the family, get updates, or see the family on an ongoing basis. As the birth mother, you really have all the choices and can decide what you want. In an adoption, how long do I have to change my mind? The critical papers are signed after the birth of your baby. If you have made any agreements with anyone prior to the birth of the child, the agreements are not binding. Before an adoption can take place the ending of parental rights of both the birth mother and birth father must take place. The timing of the ending of these rights is different for every state. Normally, after the ending of parental rights a birth mother or birth father can not get the child back. 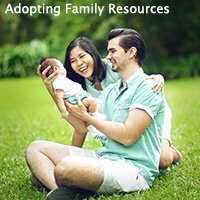 Where do I start with adoption? 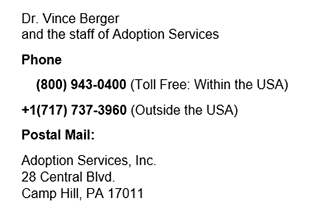 The safest and best way to get started is to contact a non-profit, fully licensed adoption agency to help you. I advise you not to answer newspaper ads, adopting family internet ads or the adopting family's attorney. These are all called a private adoption and can be very risky; in fact many states, private adoptions are not legal. Our adoption program or other adoption agency can help you and protect you and your child. How can I pick the best possible family for my child? Choosing to place your baby for adoption is a very difficult decision. In order to make sure the family is the type you want and to help assure a safe environment for your baby, the family needs to be carefully screened and evaluated. 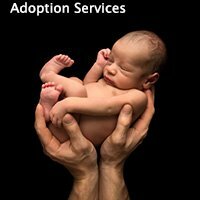 The best and most careful and objective assessment is done by a non-profit licensed adoption agency. 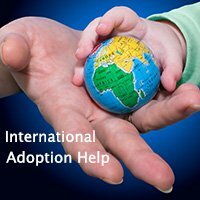 We strongly advise you to take the advice of adoption experts and the U.S. government and avoid an adoption facilitator. 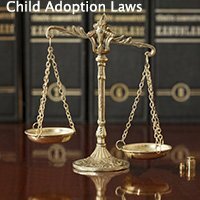 What are the laws regarding adoption? All services, information and phone calls are free to pregnant women, birth mothers and birth fathers.